I'm really excited to introduce to you Becky Miller from BeckyBLB. She and I are part of the Etsy team Etsy Bows. She's new to Etsy but her shop is stocked full of super cute bows and baby accessories. So without further adieu here she is! Hi! Thanks for highlighting my shop! I really appreciate it. 1. I am a stay at home mom with 3 little girls. i am always making things for them, and family members, and creating is what I do to calm down, clear my head, reward myself, or take a break from housework. It's just what i love to do. 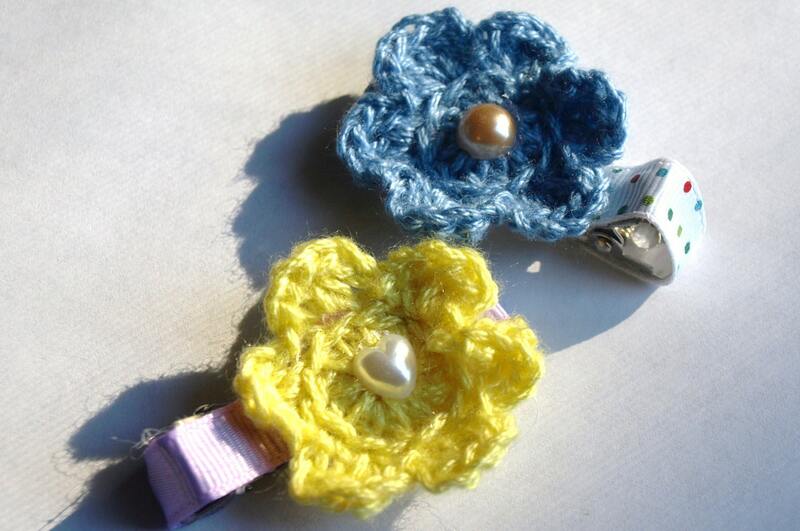 I decided I would love to make things for other little princesses, and started my etsy shop in december. 2. I love bow making, crocheting, scrapbooking, painting, working out, and playing games with my kids and husband. 3. I opened my shop so I'd have a good excuse to spend more time making things. My girls could never wear/use all of the things i make, so I found myself giving things away all the time. 4.i called my shop pretty little bows by beckyblb because i am all about my little princesses. I often call them my pretties. and decided I'd like to honor them in the shop name. becky blb comes from an old email address when I was first dating my husband. I used blb to stand for becky loves ben. and I still do, so I like to use it on websites when I can. 5. So far my favorite part of having my shop is meeting so many nice and fun people. I've gotten lots of tips and help from people on etsy without even asking, and i love making things and thinking about the person or kid who will be using it soon. I would love to give away a free set of mini flower clips with every order in my shop that mentions they found me through your blog. I'll run that special through the end of February. I also created a coupon code for 25% off: PRETTYBOWS. Here is what the clips look like. 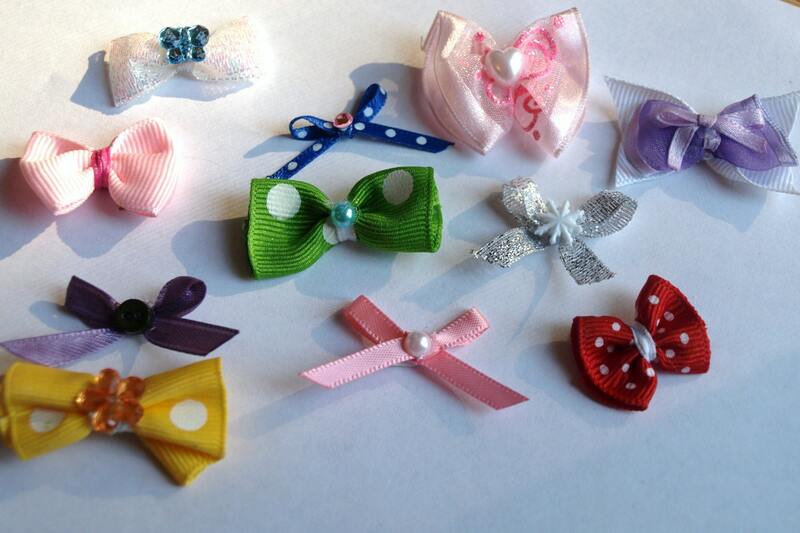 I would also like to giveaway an order of 10 of my itty bitty bows as well. Thanks Becky for sharing! Those are super cute! Okay so here's how you will win the Itty Bitty Bows. 1. Become a fan of her FB page Pretty Little Bows and leave a comment on her wall that you are from The Pink Senorita.